I am certain of only three things in this world. The first thing is that Mary J. Blige’s “I Can Do Bad All By Myself” deserved the Oscar for Best Original Song in 2010. The second thing is that Mary J. Blige’s “The Living Proof” deserved the Oscar for Best Original Song in 2012. 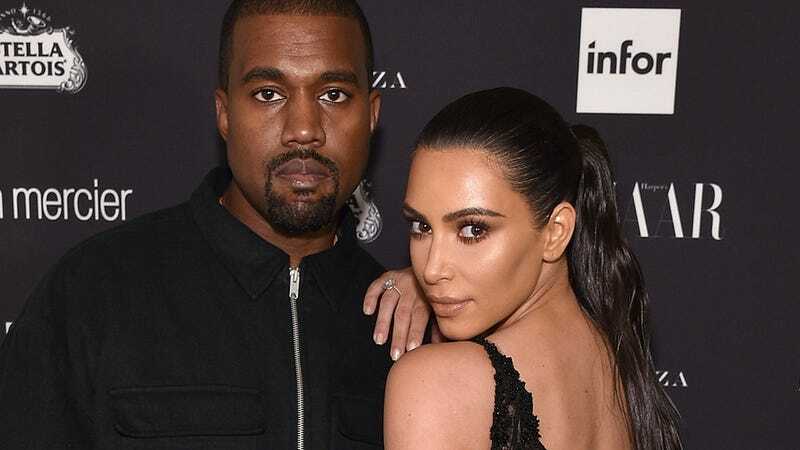 The third thing is that Kanye West and Kim Kardashian have taken the very concept of love to heights so spectacular that I’m not sure they will ever be topped. Next time you sing “I Want To Know What Love Is” at karaoke, end by holding up a large photograph of Kim and Kanye together on any red carpet. Does that mean they are the perfect couple, or would they just make the perfect couple? Let’s read more. In a world exclusive interview with Woman’s Day, celeb security guard Kris Herzog – who has also worked with Brad and Angelina – agrees Brad, 52, and 37-year-old Kate would be a match made in Hollywood heaven. So...you’re saying you have reason to believe they are? OK, so they’re not. Got it. Thanks, Kris.